If you need to sue a business, you must first determine exactly who owns it. This article will help you decide on the legal entity/person(s) to name in your lawsuit. If you make the wrong choice, you may win a judgment but not be able to enforce it or you may lose your case altogether. District Court Judges report that failing to sue the proper legal party is a common mistake for self-represented persons. In Maryland, businesses must pay an annual tax based on the value of their personal property (furniture, fixtures, tools, machinery, equipment, etc.). The State Department of Assessments and Taxation (SDAT) administers the valuation process. Counties and towns collect the tax based on the location of the property. file an annual personal property return. The DAT Business Express database shows the business's principal office and other contact information such as the resident agent. The resident agent is the person designated to accept service of a lawsuit. Tip - When you look up a business, you will find a principal office listed. This may not be the same location as the one where you conducted your business transaction. To find out if this is the same business, contact the resident agent or owner. Ask if they have a business at the location with which you are familiar. The database lists an address but not a phone number. You can find the phone number by searching the Internet or calling Directory Assistance. Businesses can (but are not required to) register a "trade name" with the SDAT. A trade name is the name by which a business is known to the public to distinguish it from another business or person.” For information on trade names, contact the State Department of Assessments and Taxation, Trade Name Search and Registration. A trademark is a unique graphic symbol or logo associated with a business, which distinguishes it from another business or person.​ Any person who adopts and uses a mark in Maryland may file in the Office of the Secretary of State an application for registration of the mark (more information is available online here: http://sos.maryland.gov/Pages/Trademarks/Trademarks.aspx ). You can search for registered business trademark information on the DAT Business Express database, available here: https://egov.maryland.gov/BusinessExpress/EntitySearch . Regulatory licenses are issued by the Department of Labor, Licensing and Regulation (DLLR). 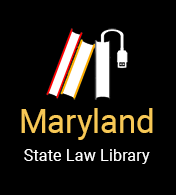 The DLLR website has a searchable database of licensed individuals and their locations available here: http://www.dllr.state.md.us/pq/ . The Office of the Commissioner of Financial Regulation regulates and licenses the operation of banks, credit unions, consumer loan companies, sales finance companies, mortgage companies, and collection agencies. You can find information about these specific types of businesses here: http://www.dllr.state.md.us/finance/industry/ . The type of legal entity of the business (corporation, limited liability corporation, sole proprietorship, etc. ).